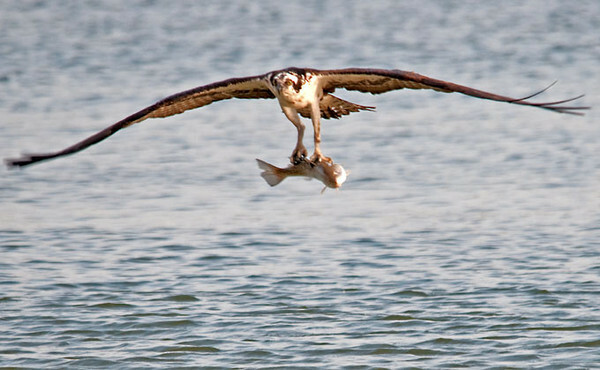 This Osprey was out of range of my lens when he dove into the water. He struggled to get airborne as he came up with this 2 foot long fish. Two seagulls immediately started harassing him. Trying to avoid them, he turned directly toward me flying close to the water.